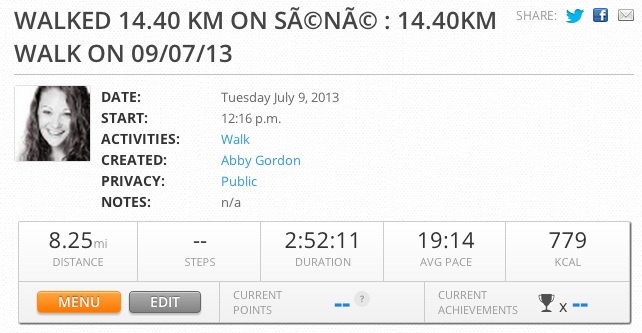 This summer, I started using MapMyRun.com. I had used it in the past to “map my run” but it had not occurred to me before this summer to use this tool for mapping my walks as well. 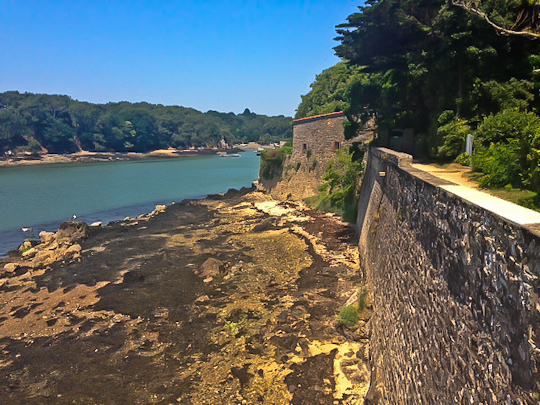 My first guinea pig was a walk in the Séné peninsula, just south of Vannes (Morbihan, Brittany). I had downloaded the “MapMyRun” app onto my iphone and plugged in my height and weight so the app could calculate as best as possible the calories I was burning. You can choose which type of activity to log (walk, run, mountain bike, road bike, etc.) The trickiest thing about the app, truth be told, is just to remember to hit “start” when you start and “stop/pause” when you end. You then have the option of saving the route to your profile. It’s a great way to keep track of your explorations. App or no app, Séné is definitely worth a visit. If you follow the coastal path, you walk through protected marshland and along beautiful sandy beaches. You see small boat harbors and beautiful coastal architecture. The northern part of the loop runs a bit away from the coast, but it’s still beautiful following the dirt tracks through farmland. The entire walk, as you see from the first chart, is very flat, and there are plenty of benches and other good spots where you can stop, picnic, admire the scenery…. If you’d like to make a longer excursion out of your Séné trip, you can also visit Séné’s natural reserve marshland. (See this video for more details.) 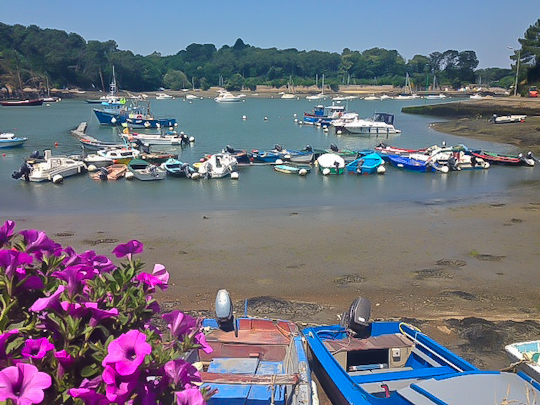 Alternatively, from the port of Barrarac’h (just a few minutes past Port Anna), you can pop over to Conleau (a tiny island that is part of and connected to the city of Vannes) or visit Ile d’Arz, a 20-minute boat trip. 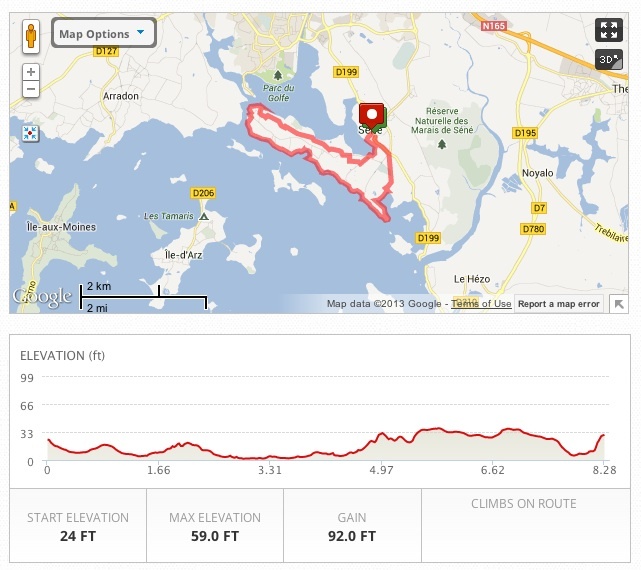 If you try out MapMyRun, let me know how it goes!